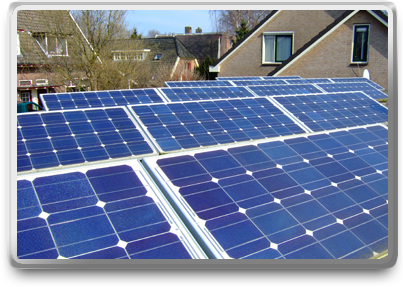 Solar PV is suitable for almost all homes in the UK – all you need is some un-shaded roof space. PV panels are capable of being installed on the vast majority of UK homes. Whilst there are some subtle differences in installation procedure dependent upon your roof type. Where on my home will the PV panels be installed? As we are in the Northern Hemisphere, a south facing roof will receive the most sunlight – the perfect home for solar has a roof orientated somewhere between South West and South East, with a 30 degree slope and no shading. For homes that do not have a south facing roof, east-west splits are quite common, and will produce roughly 85% of the energy a south facing roof will. Our engineers will assess your home, help choose the panels and design a bespoke panel layout, so you can be assured you will use your roof space to its full potential. Is my home in a suitable location for Solar PV? Solar PV is appropriate for homes in most urban and rural locations in the UK. The amount of energy received from the sun does vary across the UK – but it not by a large amount. The most important thing to watch out for when considering installing a PV system is shade; beware of any trees, buildings and other obstructions, lying to the South.